They say fine dining is an occasional treat for most people. Make every meal special with our stylish dining furniture which can add panache to your dining experience. It is time to step out from the confines of your homes and enjoy meals with your loved ones under the starlit sky. 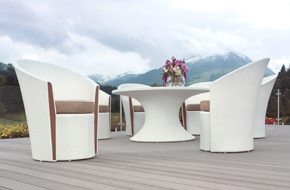 With Gebe outdoor furniture, you can revel in the beauty of outdoor dining amidst nature with comfort and style. 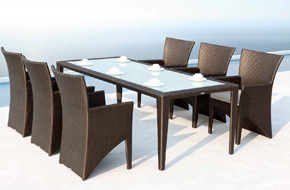 So indulge your senses with our unique dining sets.